Cheyenne attained a Bachelors degree in Applied Science from Sydney University, majoring in exercise and sports science. She then went on to complete her Masters of Chiropractic at Macquarie University. After her chiropractic studies, Cheyenne joined ‘Hands On India’, a not-for-profit organisation, that provides chiropractic and basic medical care to hundreds of men, women, and children in the poorer parts of India. 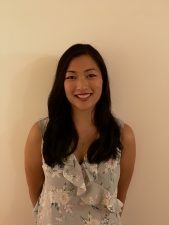 Before commencing work at Moorebank,Cheyenne has been in private practice in Sydney and Singapore, gaining extensive experience in all aspects of clinical care. Cheyenne utilises many Chiropractic techniques including diversified, gonstead, drop piece, activator, myofascial trigger points, activator, postural and functional rehabilitation. Cheyenne loves playing basketball, and plays weekly in a mixed competition. She loves being active, and knows and encourages the benefits of physical activity for herself and her patients. Professionally,Cheyenne has two passions: Health and Education. She is currently studying teaching part time, while continuing to practice as a Chiropractor. She believes patient education is a vital key in improving and maintaining her patients’ health. Cheyenne is a registered Chiropractor with current AHPRA registration, and rebates are available for those who are covered under private health insurance, third party injuries ( Workers compensation , motor accident) DVA, and approved Medicare EPC referral.